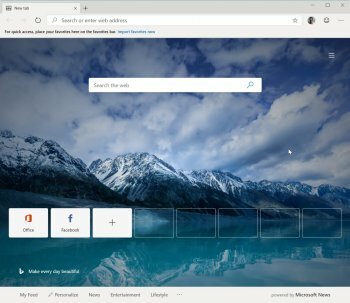 Official preview for the Chromium-based Edge browser. Back in December, Microsoft announced the intention to adopt the Chromium open source project in the development of Microsoft Edge on the desktop to create better web compatibility for our customers, and less fragmentation of the web for all web developers. Now they're ready to show you what they've been working on, and invite you to come along on our journey.